As you might have learned Adept Scientific was placed under administration in November 2014. Alfasoft AB has acquired the Adept Scientific Limited assets and founded Alfasoft Limited to continue to provide the services. Alfasoft will continue to provide information, support and services on several products previously supplied by Adept Scientific. Mathcad, EndNote, Reference Manager, Intel Software, Portland PGI, plusFORT, Absoft, VisSim, MathType, GRAMS, Kinetica and DASYLab are among the products that Alfasoft will supply and support. For some products however, continued support and services will be managed directly by the manufacturer of the product, or a new reseller authorised by the manufacturer. Alfasoft AB has provided high end scientific software to researchers and engineers since 1989 and we would be honoured to give the same service to you. We offer open online training on most of our products twice per year in addition to payable training and consulting. You are very welcome to join us and we look forward to working with you. Adept Scientific (Letchworth, Herts) announces the release of the second product in the USB-5100 Series of affordable, multi-channel data loggers from Measurement Computing Corporation (Norton, Mass.) With a built-in LCD screen and support for temperature data, as well as current and voltage signals up to 24 V, the USB-5106 is available now from Adept Scientific in the UK. The USB-5106 device includes easy-to-use software for logger set up and data review. Set up is done via a USB connection to a PC or Mac. Data can be exported to a variety of formats including .csv, .txt, or Microsof®t Excel® (.xls). Adept Scientific is one of the world’s leading suppliers of software and hardware products, consultancy and training for research, engineering, scientific and technical applications on desktop computers. The company, founded in 1984, has offices in the UK, Germany, France and throughout the Nordic region, serving customers in 19 countries. Full details and contact information for all Adept Scientific international offices are available at www.adeptscience.com; or telephone +44 (0) 203 695 7810. Measurement Computing is the market leader in the design, manufacture and distribution of value-priced data acquisition hardware, and test and measurement software solutions for both programmers and non-programmers. 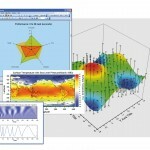 More information about Measurement Computing is available at www.mccdaq.com. Adept Scientific (Letchworth, Herts) announces the release of DAQami, an advanced data logging application from Measurement Computing Corporation (Norton, Mass) which allows users to quickly and easily acquire, view, and log data from MCC USB DAQ devices. DAQami delivers the fastest time to measurement for over 40 compatible MCC hardware devices. Once users have installed DAQami and plugged in a DAQ device, they’re able to create an automatic configuration and acquire live data in 5 minutes or less! Data can be acquired in volts and degrees, as well as custom units with linear scaling. Channels can be viewed on any combination of scalar, strip and block displays. Once data is acquired and logged, DAQami can be used to review the saved data file. DAQami’s flexible user interface makes it easy to customise display size and location, zoom factor and channel/trace colours. Users can also configure MCC DAQ hardware within the application, selecting sampling rate, start and stop triggers and sample count. Adept Scientific (Letchworth, Herts.) announces two new, low-cost, 16-bit, multifunction USB DAQ devices from Measurement Computing Corporation (Norton, Mass.). With sample rates up to 100 kS/s, the new USB-230 Series is now available from Adept Scientific in the UK. Two models are included in the USB-230 Series. The USB-234 offers sample rates up to 100 kS/s, and the USB-231 up to 50 kS/s. Both models feature eight single-ended/four differential analogue inputs. There are eight digital I/O lines, with each digital channel software-selectable for both input and output. The devices also feature a 32-bit counter input and two 16-bit analogue outputs; the latter can be updated at a rate up to 5 kS/s per channel. An external digital trigger input is software-selectable for rising edge or falling edge detection. Removable screw-terminal connectors make signal connections easy. A high-speed Micro-USB cable is included and no external power source is needed. The devices are supplied with a range of software, including out-of-the-box TracerDAQ® for quick-and-easy logging and displaying of data; and InstaCal, an all-in-one package for installation, configuration and test. There’s also comprehensive support for C®, C++®, C#®, Visual Basic®, and Visual Basic .NET™; and drivers for DASYLab®, and NI LabVIEW™. Adept Scientific (Letchworth, Herts.) is pleased to announce that PerkinElmer (Waltham, Massachusetts) has released a new version of its industry-standard desktop applications for chemical structure drawing and analysis, 3D molecular modelling and visualisation, and database search and management. ChemBioDraw® version 14.0 delivers integration with the CAS SciFinder® database; increased compatibility with third-party applications; a gel electrophoresis plate tool; and more. With new ChemBioDraw Ultra version 14.0 software, users can search the SciFinder database – the world’s largest collection of molecular substances, reactions and related content – from within the ChemDraw interface. Simply open or draw a structure or a partial or complete reaction, select the components, then click to see the results in SciFinder, immediately – there’s no time-consuming cutting and pasting to do. This convenient, easy-to-use feature brings built-in chemical intelligence to the user’s searches. To help users interact with third-party applications, ChemBioDraw 14.0 has two new “copy to clipboard” commands, for molfile and CDXML. This allows users to exchange structural information with other applications that can use these file formats. All the components of the ChemBioDraw 14.0 can now generate v2000 and v3000 molfiles, so users can work with an even greater range of structural descriptors. ChemBioDraw 14.0 includes a biopolymer toolbar with disulphide and lactam bridges, beta and D-amino acids, DNA, RNA, protecting groups and linkers. Users can paste peptide, DNA and RNA sequences and have them interpreted chemically with sequence wrapping and shaping. A new gel electrophoresis plate tool which provides arbitrary rotation for lane labels, plus the ability to drag and position band labels, paste data from Excel and other sources, and copy and paste between lanes. For those who don’t need biology tools, the ChemDraw® Pro 14 Suite offers state-of-the-art drawing tools, properties prediction and much more. Although it doesn’t support the one-click SciFinder search facility, it has extensive online database querying capabilities. It also includes the gel electrophoresis plate tool. ChemDraw® Standard 14.0 includes all the tools needed to draw publication-ready chemical structures and reactions. Its many additional features include structure clean-up and the ability to expand and contract labels; and it integrates smoothly with Microsoft® Office®. 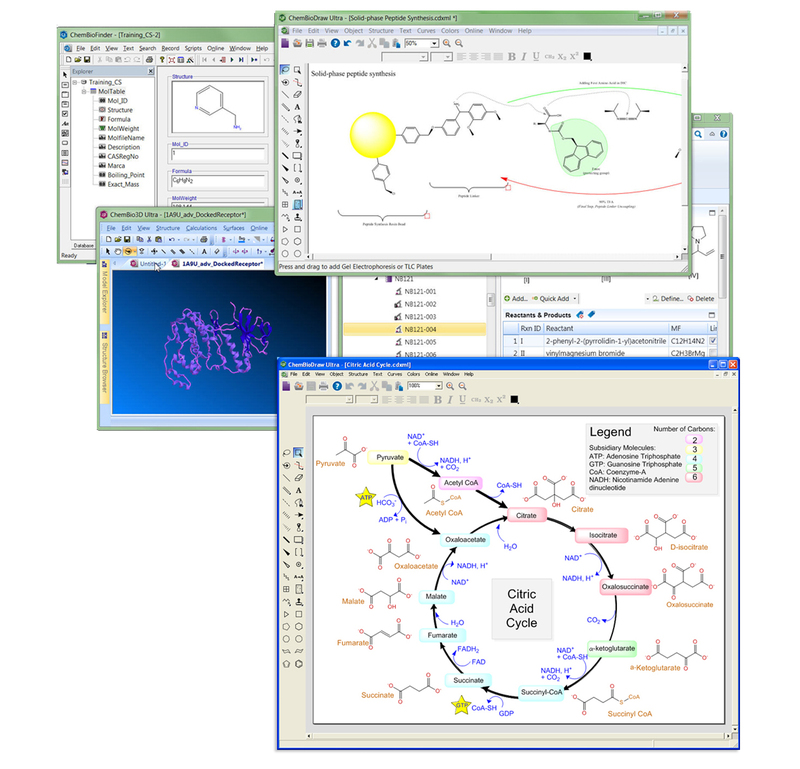 For those needing to explore the structure and properties of large chemical and biological models, ChemBio3D® Ultra 14.0 (which includes ChemDraw Pro 14.0) brings workstation-quality molecular graphics and rigorous computational methods to the desktop. It features a Structure Browser to view sets of small structures and their properties for analysis and comparison. This latest version allows users to set up AutoDock runs to dock flexible ligands into receptors of known 3D shape and compare the goodness of fit; and to set up CONFLEX® runs to quickly explore conformational space and identify minimum energy conformations for small and large molecules. ChemBioDraw, ChemBio3D and ChemBioFinder™ – a chemically and biologically intelligent database manager and search engine – are all included in the top-of-the-range ChemBioOffice® Ultra 14.0, which provides biologists and chemists with a comprehensive, integrated, up-to-date suite of scientifically intelligent applications for increased personal productivity and enhanced decision-making. Organisations with a current site licence to ChemBioOffice Ultra 14.0 will be entitled, at no extra charge, to use an enterprise-deployable version of the ChemDraw for iPad® mobile application (“CDSL”) that can be made available site- and campus-wide, to add the benefits of mobile access to key ChemDraw functionality for drawing and sharing structures and reactions. 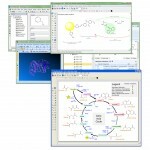 ChemBioDraw, ChemDraw Pro, ChemDraw Standard and ChemBioOffice are available for both Windows and Mac platforms. ChemBio3D is a Windows application. PerkinElmer, Inc. is a global leader focused on improving the health and safety of people and the environment. The company reported revenue of approximately $2.1 billion in 2012, has about 7,500 employees serving customers in more than 150 countries, and is a component of the S&P 500 Index. Additional information is at www.perkinelmer.com. Adept Scientific (Letchworth, Herts.) announces the release of six new multifunction USB data acquisition boards designed for OEM and embedded customers. The new boards, from Measurement Computing Corporation (Norton, Mass. ), are board-only versions of some of their most popular USB DAQ devices, with OEM-friendly header connectors instead of screw terminals for easy integration into OEM applications. Measurement Computing is the leader in low-cost USB DAQ and has received many requests from OEM customers for board-based solutions. The new boards are bare-board versions of the company’s USB-1208, 1408 and 1608 modules, offering up to 500 kS/s sampling, eight or 16 digital I/O, and up to two analogue outputs. Software support includes out-of-the-box DAQami and TracerDAQ® for quick and easy logging and displaying of data, along with support for Visual Studio® and Visual Studio® .NET, DASYLab®, NI LabVIEW™ and MATLAB®. Universal Library for Android™ support allows users to develop DAQ applications that run on tablets and smart phones. Adept Scientific (Letchworth, Herts.) is pleased to announce that it can now offer clients in the UK and Ireland, Germany, Austria and the Nordic countries the full Provalis range of market-leading software for analysing unstructured as well as structured data. Provalis Research (Montreal, Canada) is the world’s leading developer of text analytics platforms with ground-breaking qualitative, quantitative and mixed methods software. Provalis Research software is used in a wide range of application domains such as media analysis, market research, survey analysis, incident reports and competitive intelligence. It helps researchers to improve product and business performance, raise quality and safety standards and fully understand customer reactions. The premium product in the Provalis range is ProSuite, an integrated suite of tools that allow users to explore, analyse and relate both structured and unstructured data. Users can perform qualitative coding on documents and images using QDA Miner, apply powerful content analysis and text mining on textual data using WordStat, and perform advanced statistical analysis on numerical and categorical data using SimStat. The interoperability of these tools allows researchers to integrate numerical and textual data into a single project and to seamlessly move back and forth between quantitative and qualitative data analysis. QDA Miner is an intuitive, easy-to-use, mixed methods qualitative data analysis software package for coding, annotating, retrieving and analysing both small and large collections of documents and images. It is used to analyse interview or focus-group transcripts, legal documents, journal articles, even entire books, as well as drawings, pictures, paintings and other visual documents. WordStat is a content analysis and text mining tool for fast, precise processing of large amounts of unstructured information. It quickly extracts themes and trends from documents, customer feedback, interview transcripts, open-ended responses, websites, scientific literature, social media transcripts and any kind of report. It also allows precise measurement with a state-of-the-art quantitative content analysis method. SimStat is an easy-to-use statistical software application offering a wide range of statistics, intuitive data and output management features. It includes its own scripting language to automate statistical analysis and to write small applications, interactive tutorials and computer assisted interviewing systems. A SimStat data file supports not only numerical and categorical data, dates and short alphanumeric variables but also memos and document variables. Provalis text analysis software provides the tools to analyse and quantify open-ended survey questions, or any other form of customer feedback. Respondees can comment in their own words, giving richer and more valuable information than ordinary surveys with pre-defined or multiple-choice responses. These tools can also classify and analyse opinions in reviews, blogs, media posts and documents of any type. They can be used to identify reactions to a brand image and so assess the brand’s ‘personality’. They can be used to study how specific topics are represented in media, to improve the effectiveness of communications. They provide a means of extracting and organising meaningful data from the literature, from reports, from websites and any other unstructured source, transforming textual data into valuable insights. Further details and prices are available at www.adeptscience.com. Founded in 1989, Provalis Research is a world-leading developer of text analysis platforms with ground-breaking qualitative, quantitative and mixed methods analysis software. Provalis Research tools are used by more than 2,500 governments, international corporations, NGOs, universities and independent research leaders worldwide. Adept Scientific (Letchworth, Herts.) announces the availability of a highly secure, stable and reliable service for the transfer and storage of large sets of data. Adept TeamBeam, which stores and routes data through servers operating under the stringent regulation of the German Federal Data Protection Act, ensures that sensitive and private data transfers remain absolutely secure. The safeguarding of intellectual property is a prime concern of Adept Scientific’s customers. Research results, design data, engineering calculations, product specifications, costing details and more need to be shared with colleagues and customers, often at remote sites. But can they be sure that email, FTP, cloud storage sites and other transfer methods are truly secure? Adept is now able to offer what the company believes is the safest, most secure data storage and transfer method available today, with powerful encryption technology protecting sensitive data. An easy-to-use solution from as little as €99 per month, Adept TeamBeam provides a user-friendly but highly secure method of storing and transferring even the largest data files, making it an ideal solution for data-intensive corporations in science, bioscience, pharmaceutical, engineering and other technology-based fields. The dedicated TeamBeam servers are located in Germany and consequently all data routed through this service are subject to strict German privacy laws. The German Federal Data Protection Act (BDSG) is one of the, if not the, world’s most robust data privacy regimes, and includes stringent regulation of cross-border transmission of data. All data is securely stored on encrypted hard disks behind a 128-bit encryption key. TeamBeam uses SSL encryption (AES 256 bit or equivalent) for transfers in either direction (upload and download) via HTTPS. Transferring data securely via Adept TeamBeam is simple. After selecting the recipient(s), imported from existing email contact lists, the user simply drags and drops files or folders into the TeamBeam transfer window, then clicks ‘send’. TeamBeam deals automatically with any connectivity issues and continues interrupted transfers as soon as the network becomes available again. Recipients are notified by email, with a link to a secure web page to download the files. The sender then receives a delivery confirmation notification, or an expiry notification (with an option to extend the date of validity) if the recipient has not yet downloaded the transfer. For data protection purposes all data is deleted at the end of the transfer validity period; customers can request to have this feature deactivated. For storage, it’s just as simple to upload files and folders to a secure TeamBeam drive. Individual drives can be configured for each user, with customised access rights. Adept TeamBeam Server, which allows unlimited transfer volumes, is administered via a web-based interface; and each user has a personal log-in to access the data portal. Full reporting and auditing features allow administrators to keep track of all transfers and usage. An optional checksum feature can be used to verify the content of each transfer, providing full traceability. Optionally, specified users can be authorised to receive data from external business partners (who do not need their own TeamBeam account). All TeamBeam components can be custom-branded and integrated into corporate design schemes; and TeamBeam supports English, German and French. Adept TeamBeam is available for both Windows and Mac. A highly affordable Adept TeamBeam Personal version is also available for individual corporate workplaces, with the same secure data transfer capabilities and either a limited or unlimited transfer volume. Prices start from just €9 per month. Adept Scientific (Letchworth, Herts.) is pleased to announce an agreement with OriginLab (Northampton, Massachusetts) to supply and support the market-leading graphing and data analysis software, Origin and OriginPro, to commercial customers in the UK and Irish Republic from 1st April 2014. This significantly enhances Adept’s product offering to its core client base of engineering and scientific professionals. Origin is a renowned software application for data analysis and publication-quality graphing, tailored to the needs of scientists and engineers. Used by over 150,000 scientists and engineers worldwide, Origin software offers an easy-to-use interface for beginners, and the ability for advanced users to customise analysis and graphing tasks using themes, templates, custom reports, batch processing and programming. Her colleague Dave Woodward adds, “Especially useful are Origin’s extensive graph customisation options, as well as its powerful recalculation and batch processing and plotting features. They’re just the sort of tools that professional engineers and scientists – and even business analysts – need from a data analysis application. 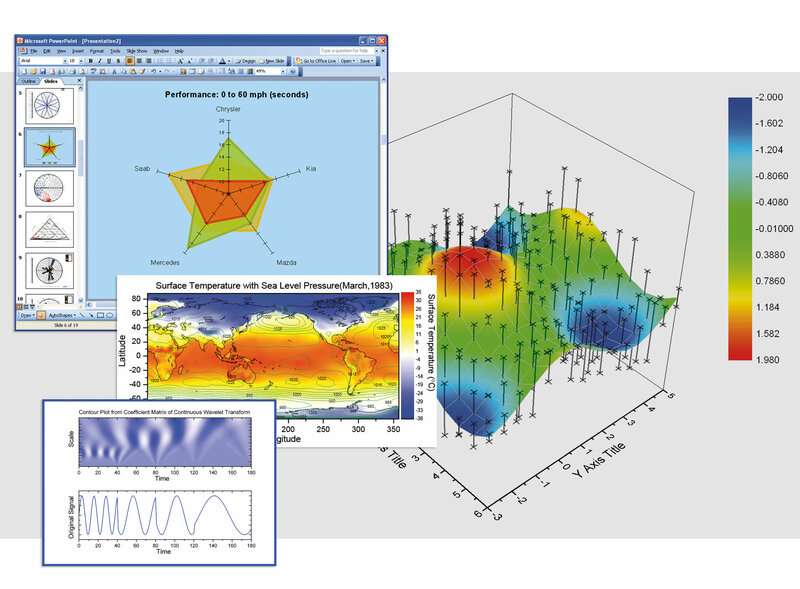 Origin provides over 100 built-in graph types: contour, 2D and 3D as well as specialised graphs such as windrose, stock (OHLC), ternary and ternary-contour, 2D and 3D vector and statistical plots. Powerful data analysis tools include peak analysis, curve fitting, statistics and signal processing. Multi-sheet workbooks and an integrated Project Explorer help users to organise their Origin projects and save workbooks as analysis templates for re-use. Origin includes both C-based compiled and scripting programming languages so that users can easily automate their routines; and an integrated code generation and debugging tool. OriginPro is, as its name suggests, an enhanced version of Origin that adds further tools for peak fitting, surface fitting, signal and image processing and statistics. The latest version 9.1 of Origin and OriginPro uses OpenGL graphics to significantly enhance plotting and editing of 3D graphs created from large datasets. This means, for example, that users can rotate, pan and zoom within 3D graphs to examine details closely and efficiently. Another key new feature is the ability to reduce data in worksheets by applying filters to one or more columns. This enables users to quickly reduce large datasets and have all associated graphs and analysis results automatically update when filter conditions are modified. 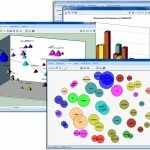 Other new features include Batch Plotting to create duplicate graphs from other worksheets and columns; Batch Analysis on multiple data plots using interactive gadgets; the ability to generate video from graphs; and the ability to place graphs as floating objects on worksheets for easy report creation. New graph customisation options include multiple axis breaks, user-defined axes scales, automatic positioning of graph labels and tick label tables which are particularly useful for grouped data plots. 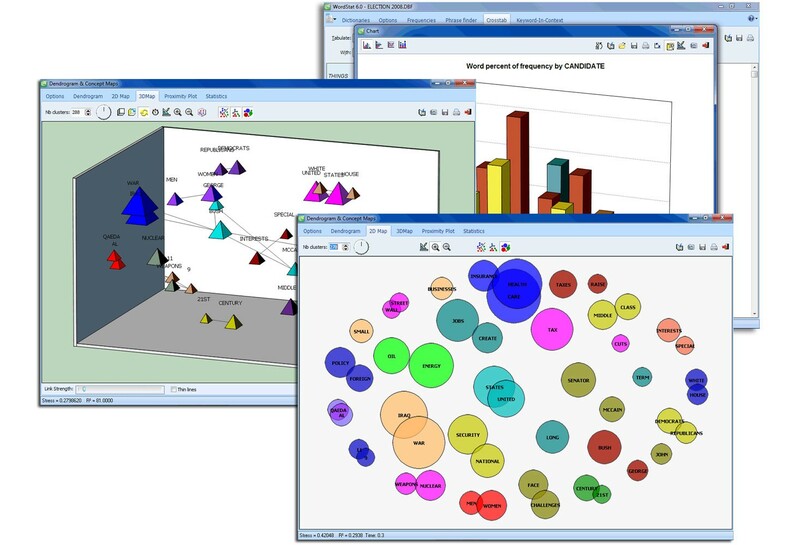 Both Origin and OriginPro 9.1 also feature a generous selection of new graph types and data analysis features. New tools for implicit function fitting and IIR filter design are among the latest enhancements to OriginPro 9.1. Origin and OriginPro are available now from Adept Scientific in the UK and Ireland. Further details can be found at http://www.adeptscience.co.uk/products/origin. Adept Scientific is one of the world’s leading suppliers of software and hardware products, consultancy and training for research, engineering, scientific and technical applications on desktop computers. The company, founded in 1984, has offices in the UK, Germany, France and throughout the Nordic region, serving customers in 17 countries. Full details and contact information for all Adept Scientific international offices are available at www.adeptscience.com; or telephone +44 (0) 203 695 7810. Founded in 1992, OriginLab develops data analysis and graphing software for users in corporations, government agencies, colleges and universities worldwide. Its flagship products, Origin and OriginPro, provide a comprehensive solution for scientists and engineers at any technical level to analyse, graph and professionally present data. OriginLab has offices in Northampton and Wellesley, Mass., and Guangzhou, China. For more information, visit www.OriginLab.com. Adept Scientific (Letchworth, Herts.) announces a new measurement device for the acquisition of transient signals and vibrations. Expert Vibro from Delphin Technology (Bergisch Gladbach, Germany) is a compact unit that makes it easy to collect vibration measurements with a single, flexible piece of equipment. Intuitive configuration means fast implementation and short commissioning times. Because vibration data delivers critical information on the performance and condition of bearings, shafts and machinery, which have a significant effect on the quality and efficiency of production processes, it’s vital to acquire, evaluate and process this data on a continuous basis, and be able to respond very quickly to potential problems. Using the latest processor technology based on powerful FPGAs, the Expert Vibro is equipped with up to 16 synchronous analogue inputs with sampling rates of up to 50 kHz per channel. A 24-bit A/D converter delivers high-precision measurement. Users can switch easily between voltage, IEPE and shaft vibration sensors. Integrated comparators and digital inputs allow flexible triggering. Measurement data is monitored ‘on the fly’ with switching within milliseconds of up to 8 digital outputs. Characteristic values can be determined from time signals and spectra. Spectra are computed online (FFT) and recorded along with time signals and characteristic values. Expert Vibro has a built-in data storage capability to enable independent operation; while its touch display shows important configuration or measurement data. Versatile software channels enable Expert Vibro to be used for complex analysis and monitoring tasks. Expert Vibro can be connected to PCs via LAN or USB. Optional WLAN, UMTS or LTE modules are available for standalone operation. Antennae can be connected via SMA sockets. Two PROFIBUS interfaces are available as well as Modbus TCP for fieldbus connections. Multiple Expert Vibro devices can be synchronised to process vibration data from many channels. Combining operational flexibility with complex processing functions in an economic, user-friendly system, Expert Vibro is available now from Adept Scientific in the UK and Ireland. Further details can be seen here. Adept Scientific is one of the world’s leading suppliers of software and hardware products for research, scientific, engineering and technical applications on desktop computers and has offices in the UK, Germany, France and throughout the Nordic region. Full details and contact information for all Adept Scientific international offices are available at www.adeptscience.com; or telephone +44 (0) 203 695 7810. Delphin Technology AG was founded in 1980 and has been active ever since in the development and production of hardware and software for industrial measurement technology. The company has developed data acquisition devices for temperature, pressure, flow, vibration and revolution systems together with the software which enables measurement data and processes to be monitored, assessed and analysed. Processes can be automated and machinery controlled via remote monitoring. Delphin’s measurement data acquisition systems are used in testing technology and process engineering, including the energy and food industries, and in research and development. Areas of application include the monitoring of gas turbines for Siemens and pharmaceutical production at Bayer.